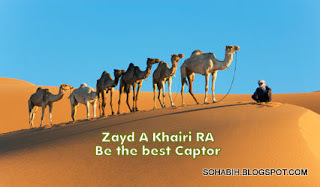 THE COMPANION: Zayd al-Khair RA - The Best of Steeds. Zayd al-Khair RA - The Best of Steeds. A hard life in the desert Zayd Al Khail than become a well-known personality during the time of Jahiliyyah. Zayd Al Khail is feared for his ruthless action of being the infamous highway robbers during that time. Not the like of modern highway or expressway but a well-known plunderer of caravan or kafilah trans versing the desert. Zayd Al Khail is also known among the dwellers of desert, between the tribes of his ala - Robin Hood character “Robbing the Rich to help the Poor”. Zayd Al Khail is an excellent and highly skill with his bow and arrow. Despite his ruthless and plundering nature Zayd Al Khail is soft hearted companion, which sympathies with people which are in disdain and facing difficulties in their life. One notable episode in the life of Zayd Al Khail during the time of Jahiliyyah about is aka Robin Hood character:The tribe of Amir was afflicted one year by a severe drought which destroyed crops and vegetation and caused livestock to perish. So bad was it that one man left the tribe with his family and went to Hira. There he left his family with the words, "Wait for me here till I return to you." He swore to himself not to return to them until he earned some money for them or died in the process. "This is the first booty." He went to the horse, untied it and was about to mount it when a voice called out to him: "Leave it and take your life as booty." He hastily abandoned the horse. For seven days he walked until he reached a place where there was a pasture for camels. Nearby was an enormous tent with a leather dome, signs of great riches and wealth. The man said to himself: "Doubtless this pasture has camels and doubtless this tent has occupants." The sun was about to set. The man looked inside the tent and saw a very old man in the center. He sat down behind the old man without the latter realizing his presence. The sun soon set. A horseman better known as Zayd Al Khail is an imposing and well-built person, approached. Zayd Al Khail rode his mount erect and tall. Two male servants accompanied him, one on his right and the other on his left. With Zayd Al Khail were almost a hundred she-camels and in front of them a huge male camel. Clearly he was a well-endowed man. To one of the servants Zayd Al Khail said, pointing to a fat camel. "Master, he has drunk it all." Zayd Al Khail was happy and ordered another camel to be milked. The old man drank only one mouthful and the wanderer drank half of what was left so as not to arouse the suspicion of Zayd Al Khail. Zayd Al Khail then ordered his second servant to kill a sheep. Some of it was grilled and Zayd Al Khail fed the sheikh until he was satisfied. Zayd Al Khail and his two servants then ate. After this, they all slept soundly; their snoring filled the tent. The wanderer then went to the he-camel, untied and mounted it. He rode off and the she camels followed. He rode throughout the night. At day break he looked around in every direction but did not see anyone following him. He pushed on until the sun was high in the sky. He looked around and suddenly saw something like an eagle or a big bird in the distance coming towards him. It quickly gained on him and soon he saw that it was Zayd Al Khail on his horse. "Untie the camel." The man refused saying how he had left behind him a hungry family in Hira and how he had sworn not to return unless he had money or died in the process. "Do you think I will cause you harm when you have shared with Muhalil (the old man, his father) his drink and his food last night?" When the man heard the name Muhalil, he was astonished and asked: "Are you Zayd al-Khail?" "Yes," said Zayd Al Khail. "Don't worry," replied Zayd al-Khail calmly. "If these camels were mine, I would give them to you. But they belong to one of my sisters. But stay some days with me. I am about to make a raid." Three days later he raided the Banu Numayr and captured about a hundred camels, as booty. Zayd Al Khail gave them all to the man and sent some men with him as guards until he reached his family in Hira. The above is a story of Zayd Al Khail as he was in Jahiliyyah recounted by the historian ash-Shaybani. Zayd Al Khail is a man of steel, ruthless in his action towards the rich but a soft hearted and the kindest of attitude to the poor and the destitute. 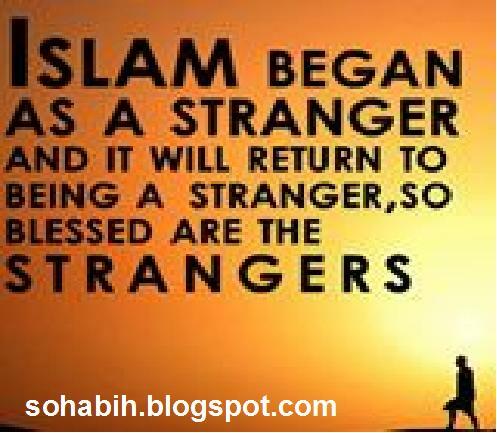 Here is another story of this noble companion—the one above during his life in Jahiliyyah and the other after he became a Muslim. The books of Siyar give another picture of Zayd al-Khail as he was getting to know about Islam . . .
"I am better for you than al-Uzza (one of the main idols of the Arabs in the pre-Islamic era) and everything else that you worship. I am better for you than the black camel which you worship besides God." Most companion of Rasulullah SAW during their time of Jahiliyyah is made up of those personalities with some form of special characteristic. The best of them in Jahiliyyah are the best of them in Islam, according to a hadith of the Prophet. In Jahiliyyah, this Sahabi was known as Zayd Al Khail. When Zayd Al Khail embraced Islam, Rasulullah SAW renamed him Zayd al-Khair RA. Zayd al-Khair RA was a noted, significant companion of Rasulullah SAW. Hail from the tribe of Tayy in northern Najd. 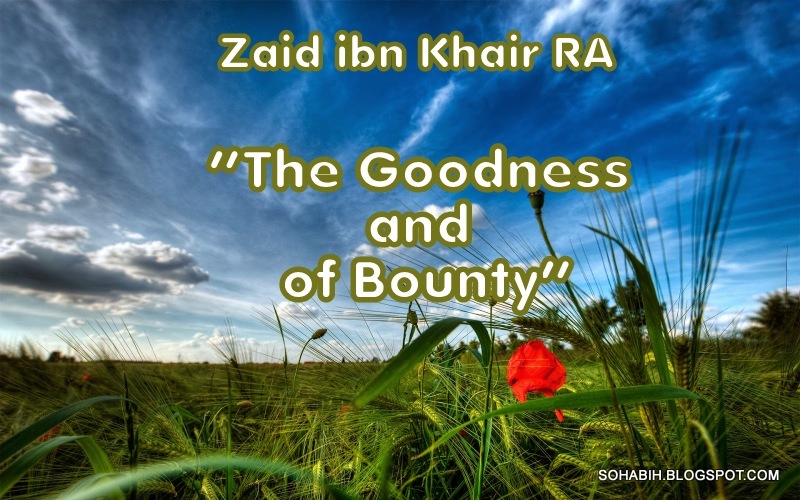 Zayd al-Khair RA was originally known as Zayd al-Khail ("Zayd of the Steeds", a reference to his chivalry), but after becoming Muslim, Rasulullah SAW renamed him Zayd al-Khair RA ("Zayd of Goodness" or "of Bounty"). 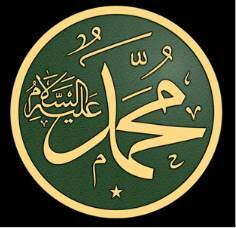 "O Muhammad, I testify that there is no god but Allah and that you are the Rasul of Allah." Rasulullah SAW approached him and asked who he was, to which Zayd replied, "I am Zayd al-Khail the son of Muhalil." "From now on you are Zayd al-Khair ("Zayd the good") instead, not Zayd al-Khayl," said Rasulullah SAW. "Praise be to Allah, Who has brought you from the hills and dales of your native land and softened your heart towards Islam." 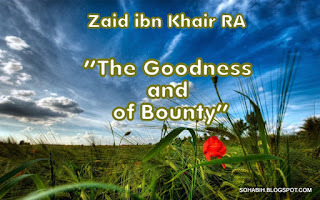 Thereafter he was known as Zayd al-Khair (Zayd the Good). "O Zayd, no man has ever been described to me and when I see him he does not fit the description at all except you. You have two characteristics which are pleasing to Allah and His Rasul." "Perseverance and sagacity," replied Rasulullah SAW. 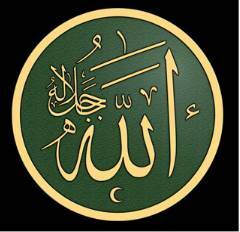 "Praise be to Allah," said Zayd al-Khair, "Who has given me what He and His Rasul like." Zayd al-Khair RA then turned directly to Rasulullah SAW and said: "Give me, O messenger of Allah, three hundred horsemen and I promise you that I will secure Byzantine territory with them." 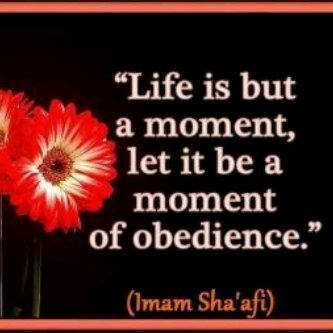 Rasulullah SAW praised his fervor and said, "What manner of man are you!" During this visit in Madinah all those who stayed with Zayd became Muslim. However, there was an epidemic of fever in Madinah and Zayd al-Khair RA succumbed to it. Zayd al-Khair RA attempted to return home despite his illness, hoping to get back to his people so they might become Muslim at his hands. "Take me away from the land of Qays. I have the fever of small pox. By Allah, I shall not fight as a Muslim before I meet Allah, the Mighty the Great." 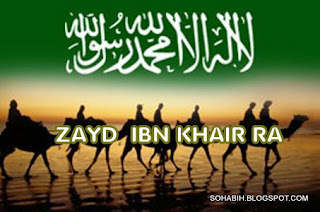 The desire of Zayd al-Khair RA to contribute and fight for the cause of Islam was not realized. Zayd took the road to his people in Najd in spite of the fact that the fever became more and more intense and slowed him down. Zayd al-Khair RA hoped at least to get back to his people and that they would become Muslim, through Allah’s grace, at his hands. Zayd al-Khair RA struggled to overcome the fever but it got the better of him and he breathed his last on the way before reaching Najd. Zayd al-Khair RA struggled to overcome the fever but he died before reaching Najd. Between his acceptance of Islam and his death, however, there was no time for him to have fallen into sin.